The odds that you’ll suffer a disabling injury or illness are far greater than the likelihood of you dying prematurely. A disability income (DI) insurance policy, used to supplement life insurance coverage, could help protect you from loss of income if you’re unable to work. Indeed, a DI insurance policy might provide even more benefits than you expect. 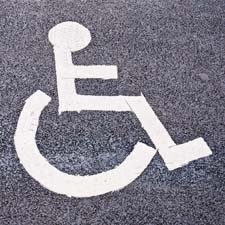 Typically, a private DI insurance policy can pick up some of the slack if you’re disabled for an extended time. Should you no longer be able to work, you will begin receiving a monthly disability benefit. Normally, the benefit is a predetermined amount, unlike employer-provided coverage, in which the benefit equals a percentage of compensation. As with life insurance, DI terms can vary widely from policy to policy. Some key variables include the amount of the benefits you’ll receive; the length of the coverage; the requirements for receiving full benefits; the definition of “disability”; the length of the waiting period before benefits begin; any cost-of-living adjustments; availability of partial benefits; and possible non-cancellation features. Naturally, the cost of the premiums also will vary, depending mainly on those variables. But don’t assume that you must be bedridden to collect any benefits. Frequently, a DI insurance policy will provide “residual benefits” in the event you can work some of the time or if you’re slowly getting back on your feet. Some policies even offer benefits after you’ve returned to work if you are earning less than you did before your disability. The residual benefits generally kick in when the loss of income is greater than 20% of previous earnings and the decline is due to the medical condition underlying the disability. This feature could be especially valuable to small business owners, including self-employed entrepreneurs, and professionals in fee-based practices, such as physicians, attorneys, and accountants. For example, suppose a surgeon recovering from a severe illness returned to practice but was able to see fewer patients. If the surgeon’s income was reduced from $50,000 a month to $30,000, the residual benefit could restore income to 80% of the pre-disability level—in this case, $40,000 a month. Similarly, if the side effects of chemotherapy make it too hard for a litigator to appear in court or for a CPA to handle a company’s books, the residual benefits can soften the economic blow. To see what your coverage may or may not include, take a close look at existing DI policies or any new policy you’re considering and have your insurance agent explain the residual benefits section. The policy might be more valuable than you imagined or the residual benefits may be too restrictive. Those provisions could be a key component of your DI insurance coverage.